Swagat Baruah: Recently, in a widely hailed judgment of the Supreme Court of India, the Court unanimously declared that the right to privacy is a fundamental right. On the other hand, Indians are mandatorily subject to a 12-digit unique identity number based on their biometric and demographic data, called the Aadhaar number, which also makes up the world's largest biometric ID system. The Aadhaar was brought out by an executive order and without any legislative backing, back in 2009 and it was in order to bring the citizens of India under one big database system and to link to it the essential services that one requires in everyday life. There have been many theories and in fact a real concern about how the Indian government can, through this big data collection, become a sort of an Orwellian surveillance system. What are your thoughts on such systems, such as Aadhaar, which have been effected under the garb of constitutionality and democratic requirements? Noam Chomsky: One could certainly see how such a system could be abused in totally unacceptable ways. Swagat Baruah: But this has already led to several abuses, and a highly porous system. People have even lost lives because they couldn't merely present their Aadhaar card when they needed critical treatment. And what is really interesting to note is how this was brought out by an executive order and not by legislation, which was in the case of other successful but not completely similar systems such as the United States' Social Security Number. Aadhaar verifies an individual's identity. Connecting one's basic utility requirements to the card makes one's existence dependent upon it. 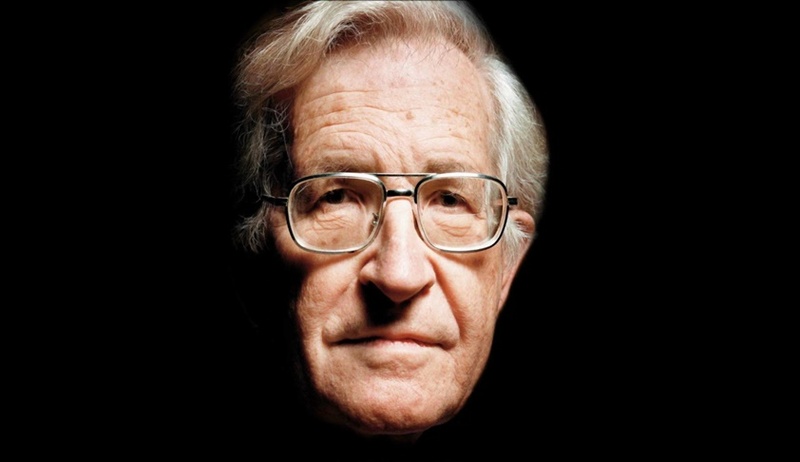 Noam Chomsky: Well, abstractly, one cannot comment on social security or any other identification system. One has to ask, did it arise through democratic participation or public discussion, the kinds of reflections and discourse that would lead to a legitimate democratic decision or did it come about simply by an executive order. That's one question. Second, if the latter, we already have a significant element of illegitimacy. If the former, it might be legitimate. So, Social Security in the United States has its public uses and benefits and the Social Security Number is beneficial in many ways. Then comes the question of how it's used. Whether in an abusive way to control people or is it used to facilitate people's everyday lives, to improve things they can do, to make things easier for them and more convenient and so on. So those are the two questions that have to be raised. In the case of the Indian system, which I haven't investigated, but by what you describe, seems abusive in both respects, both in how it was instituted and how it is used. Professor Chomsky is considered the father of modern linguistics, one of the founders of cognitive science and is one of the most cited authors in history, in a list which features the Bible, Sigmund Freud, G.W.F. Hegel, Cicero, Plato and so on. One of the fiercest critics of US foreign policy, Prof. Chomsky was declared the "world's most important intellectual alive in terms of power, range, novelty and influence of his thought". His influence includes generations of people, students, thinkers, world leaders and more recently, even actors and musicians. His comments make him a very significant and a strong addition to the list of naysayers to the AADHAAR system.